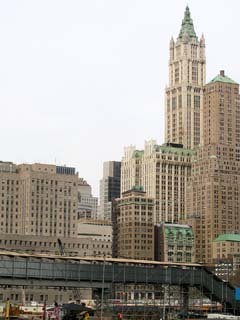 World's tallest building from 1913 to 1930 until the completion of the 40 Wall Street. 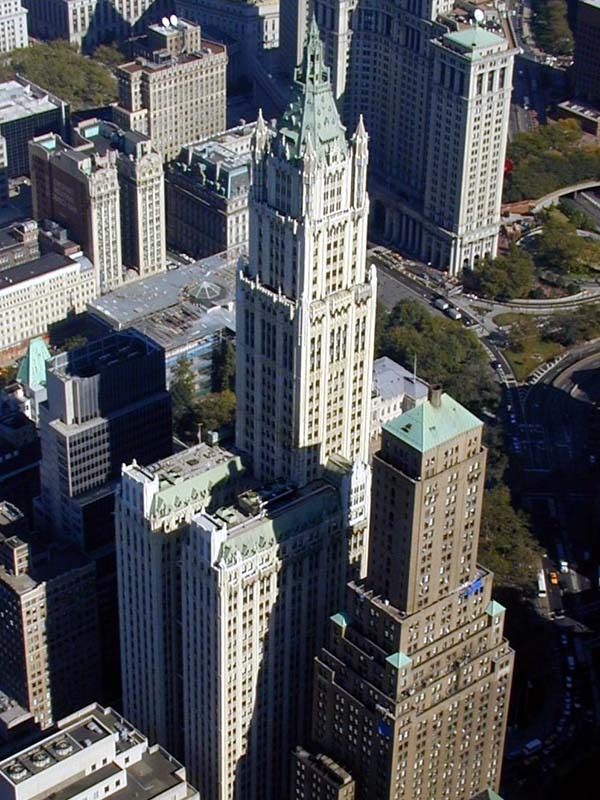 The Woolworth chain went out of business and sold the building in June 1998 to the Witkoff Group for $155 million. 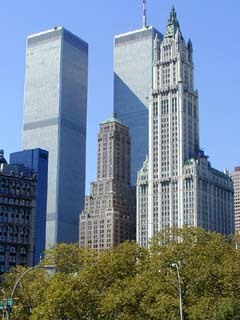 The view on the Woolworth Building across the WTC site in April of 2002. The view of the Woolworth building from the World Trade Center observation deck. The Woolworth building and the World Financial Center. 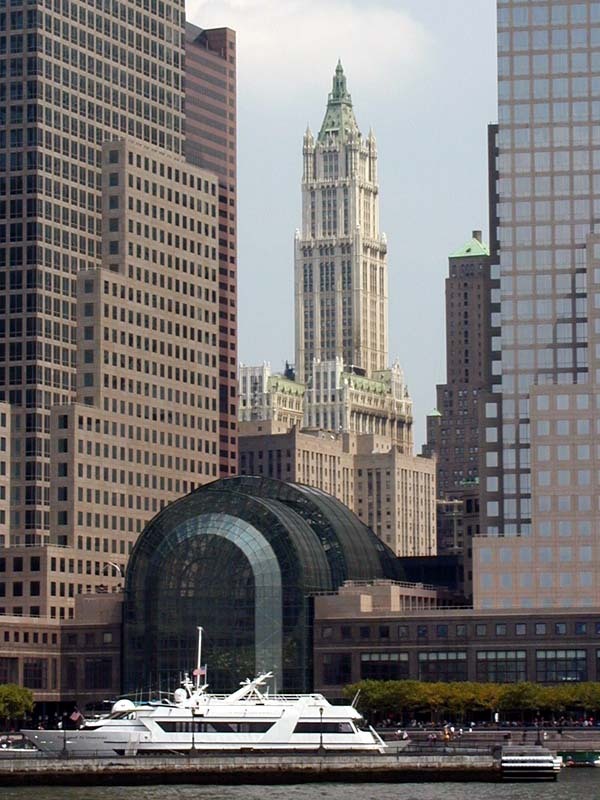 The Woolworth Building and the World Financial Center, with the World Trade Center gone. 21 September 2001. 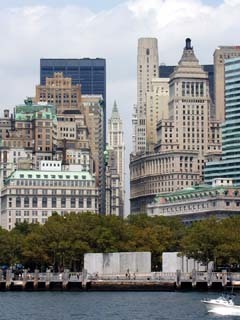 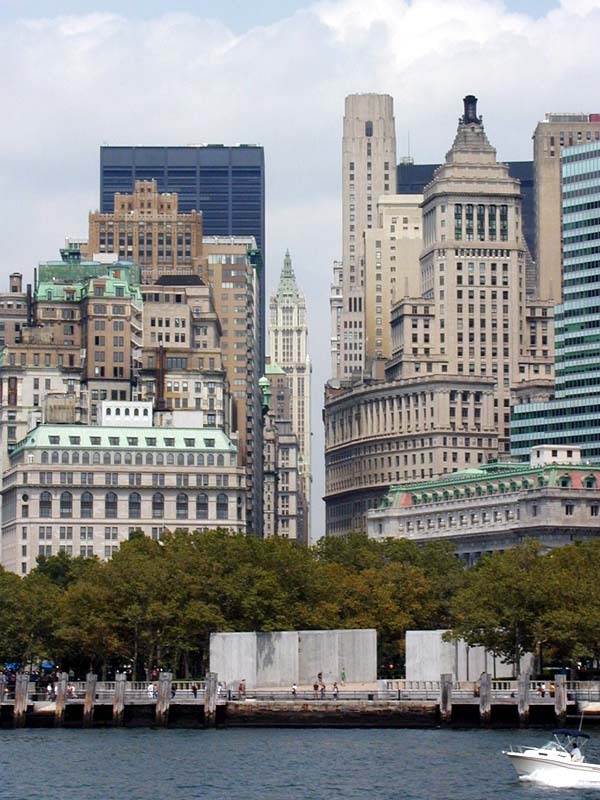 The view on the Woolworth Building across the Battery Park along the Broadway. 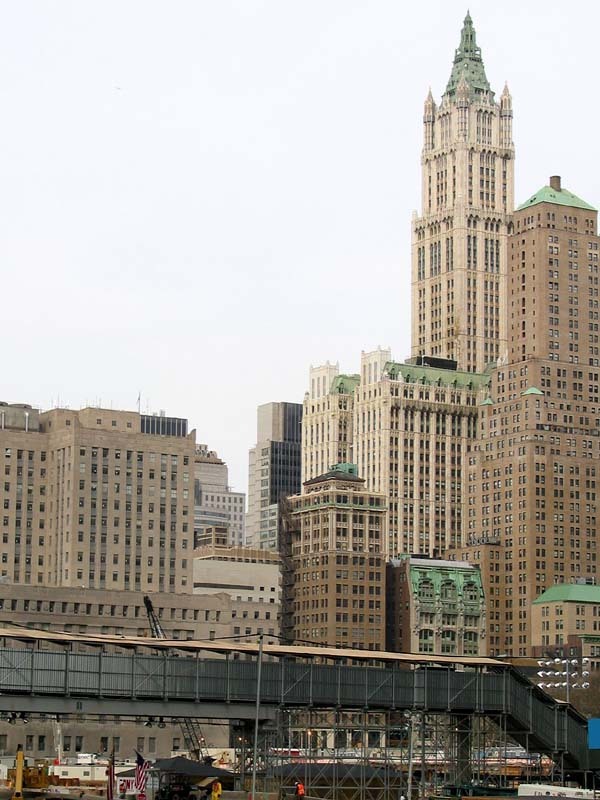 The view on the Woolworth building from the Brooklyn Bridge. 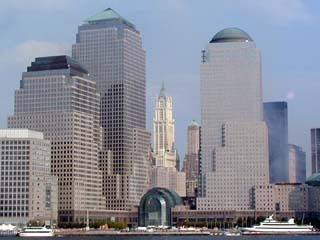 The World Trade Center towers in the background.